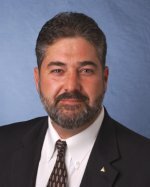 Washington, D.C., November 22, 2015 – The International Association of Machinists and Aerospace Workers (IAM) announced that General Vice President Bob Martinez, Jr. will succeed current International President Tom Buffenbarger, who steps down on Jan.1, 2016 after a 45-year career that spans service as a local IAM Shop Steward to more than 18 years as the IAM’s top elected official. The announcement follows a vote by the union’s 11-member Executive Council, in accordance with the IAM Constitutional requirement for senior elected officials to leave office at age 65. Martinez, a 35-year IAM veteran will serve the remainder of Buffenbarger’s current 4-year term, which concludes July 1, 2017. A native of Texas, Martinez served in the U.S. Navy before joining the IAM in 1980 as an aircraft assembler at Lockheed Martin Aeronautics in Ft. Worth, TX. Rising through the ranks, Martinez held numerous positions at the local and district level before assuming the office of Southern Territory Vice President in July 2003. In addition to his current position as Vice President in charge of IAM Headquarters, Martinez serves as a Trustee of the IAM National Pension Fund, and is Vice President on the National Executive Board of the Labor Council for Latin American Advancement (LCLAA). Buffenbarger’s tenure as International President was marked by a commitment to organizing, financial stability and a recognition that diversity in local and senior leadership is a key to remaining relevant in the modern workplace. The current IAM Executive Council is now among the most diverse in the labor movement, including men and women of African American, Hispanic, Native American and European heritage. The IAM is among the largest industrial trade unions in North America and represents nearly 600,000 active and retired members in aerospace, transportation, manufacturing, shipbuilding, woodworking and other industries. Visitwww.goiam.org for more information about the IAM. Bob Martinez, Jr., currently serves as IAM Headquarters General Vice President (GVP) with responsibility for IAM Headquarters and the William W. Winpisinger Education and Technology Center. The Headquarters GVP also has jurisdiction for the IAM’s Government Employees and Aerospace sectors. Vice President Martinez was recently honored with Guide Dogs of America’s highest honor, the Gift of Sight Award and the Cesar Chavez Award from LCLAA for his work on behalf of the Latino Labor Community. Thomas Buffenbarger is the 13th International President since the founding of the International Association of Machinists and Aerospace Workers (IAM) in 1888. The son of an IAM member, Tom Buffenbarger assumed his first IAM leadership post in 1970, at age 19, when he was elected Shop Steward of his apprenticeship group at General Electric Jet Engines, IAM Local 912, Evendale, Ohio. In 1977, Tom Buffenbarger was elected as a Business Representative for IAM District 34, in Cincinnati. In 1980, he was appointed as an IAM Special Representative for the Great Lakes Territory and three years later became Administrative Assistant to the General Vice President for that territory. Buffenbarger came to IAM Headquarters in 1986 to work in the IAM Organizing Department. In 1988, he was appointed Executive Assistant to the International President. He served in that position under International Presidents William Winpisinger and George Kourpias. From 1991 to 1997, Buffenbarger served as IAM General Vice President at Headquarters, functioning as chief of staff of all Headquarters operations. In 1997, he was elected International President. 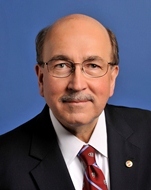 As International President, Buffenbarger is a member of the AFL-CIO Executive Council and serves on the IndustriALL’s Executive Committee as Vice President. This entry was posted in Uncategorized on November 23, 2015 by IAM&AW Local 24. Click for a printable copy. This entry was posted in Uncategorized on November 19, 2015 by IAM&AW Local 24. This entry was posted in Uncategorized on November 6, 2015 by IAM&AW Local 24.